Picture Hans Kleene We recorded the main organ of the Laurentius and Elisabeth cathedral in december 2017. The organ is build 1923 by 'Vereenigde Kerkorgelfabrieken J.J. Elbertse te Aalten'. The organ has 43 stops, 3 manuals and pedals. As usual, the sample set was produced using multi-release technology on all ranks. This organ is now available. Picture Willem den Boer H.I. Ambacht We recorded the Bätz organ in the Oude Kerk of Zeist in the province Utrecht februari 2014. This well-known organ built 1843 has 23 stops, 2 manuals en pedals. 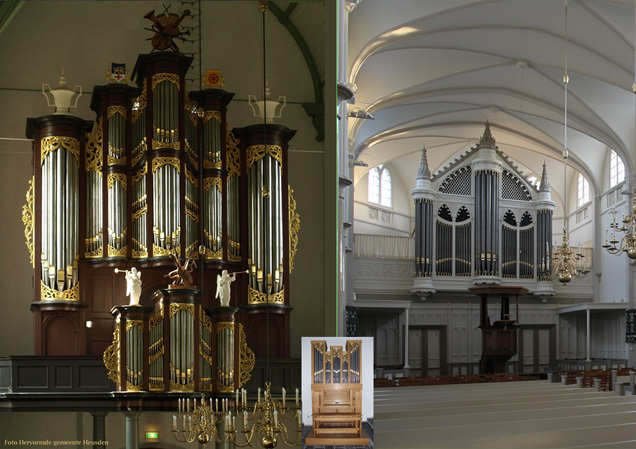 We recorded the Pels & van Leeuwen positif organ of the "Grote of Catharijnekerk" in Heusden (North Brabant) in January 2014. This organ was built in 1990 and has 6 stops on one manual and fixed pedals. For Hauptwerk we have added a Subbas 16' on the pedals. Note: This sample set can be properly used with the free version of Hauptwerk. Collection Service for Cultural Heritage, Amersfoort, property no. 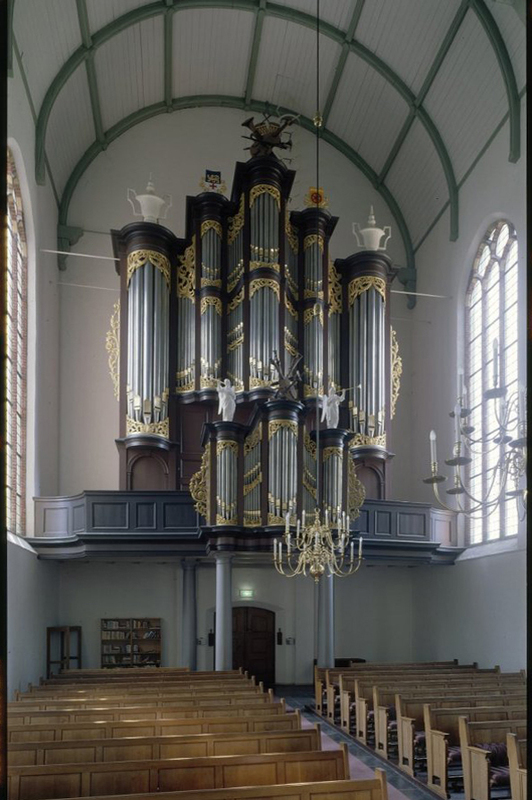 400.264 We recorded the Lohman organ of the "Grote of Catharijnekerk" in Heusden (North Brabant) in January 2014. 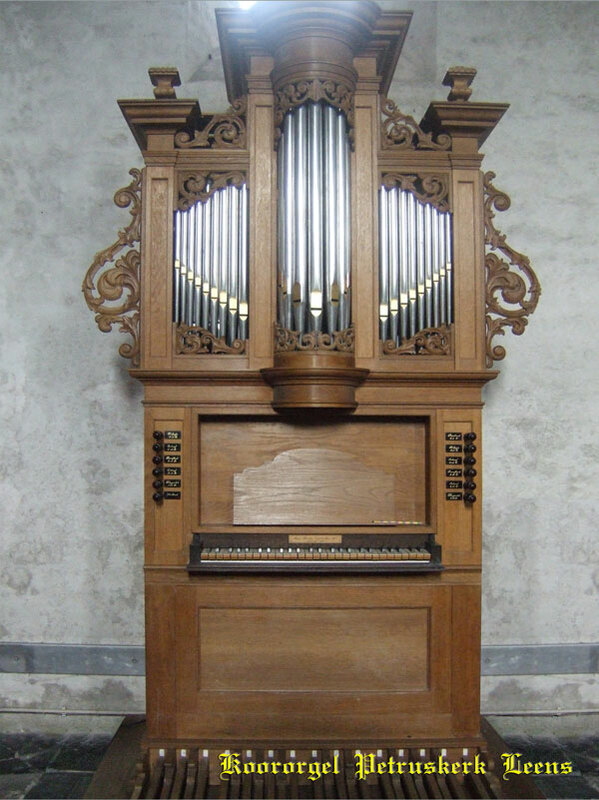 This well-known Lohman organ was built between 1824 and 1828 and has 29 stops, 36 ranks, 2 manuals and pedal. 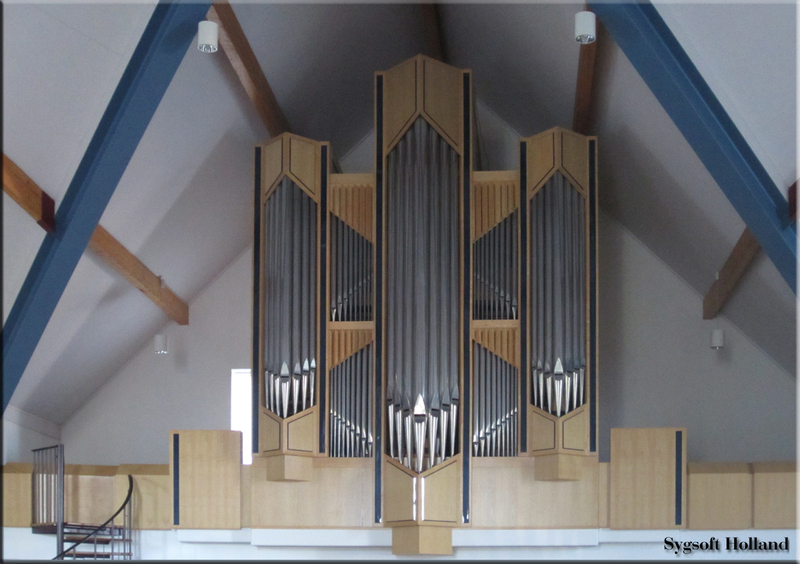 During October of 2012, we recorded the Steendam organ in the Eben Haëzer-kerk in Apeldoorn for Hauptwerk. This organ has 2 manuals and an independent pedal. The organ has 31 ranks, a few of which have not (yet) been installed. For the purposes of Hauptwerk we have supplied the missing ranks as much as possible. This organ is available for Hauptwerk version 4. 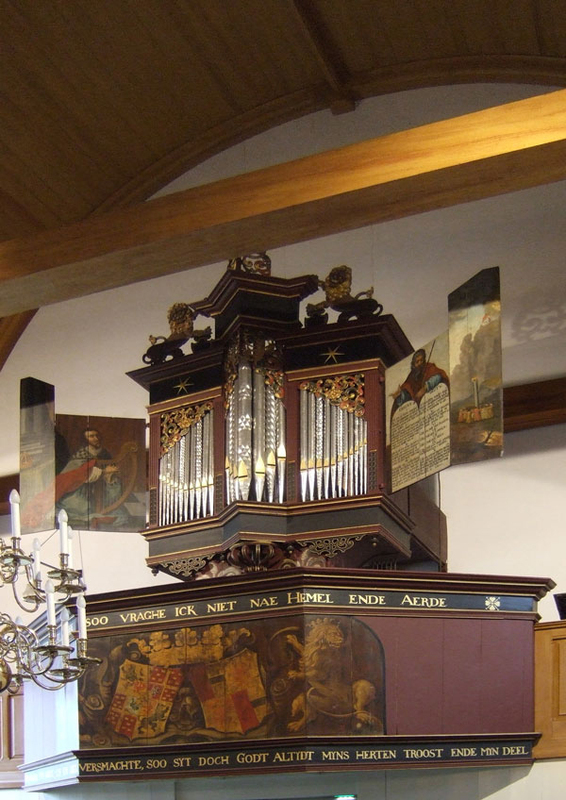 October 2007 we have recorded the Hinsz-organ of the Petruskerk at Leens in the province of Groningen. 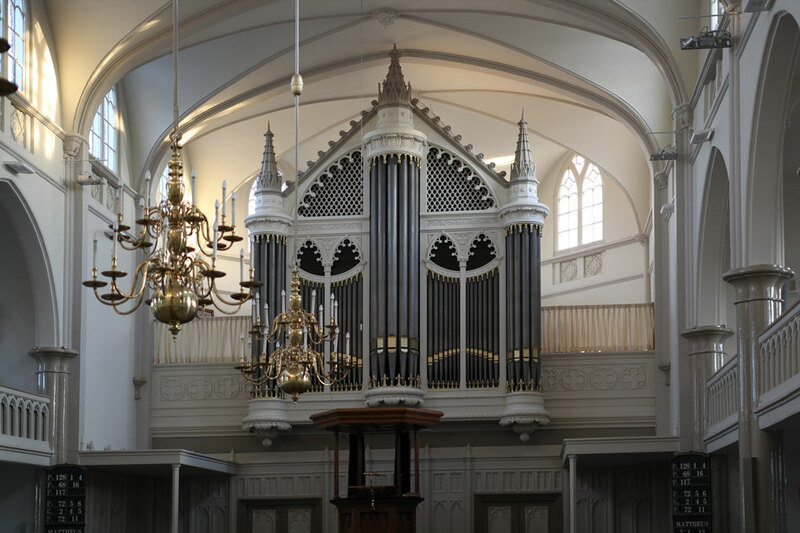 The well-known Hinsz-organ built 1733/34 has 27 stops on 2 manuals and pedals. The sampleset is available with the use of multi-release technology on all stops. This sample set is available for Hauptwerk 1 (or myOrgan/GrandOrgue) and 4. 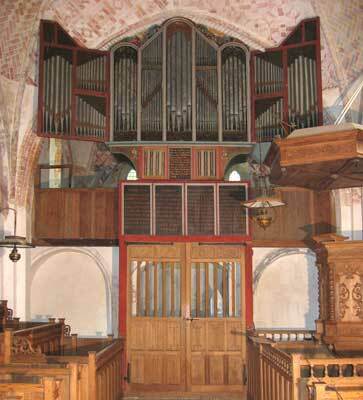 October 2007 we have also recorded the choir organ of the Petruskerk at Leens. This organ has 1 manual and fixed pedals and has 5 1/2 ranks. 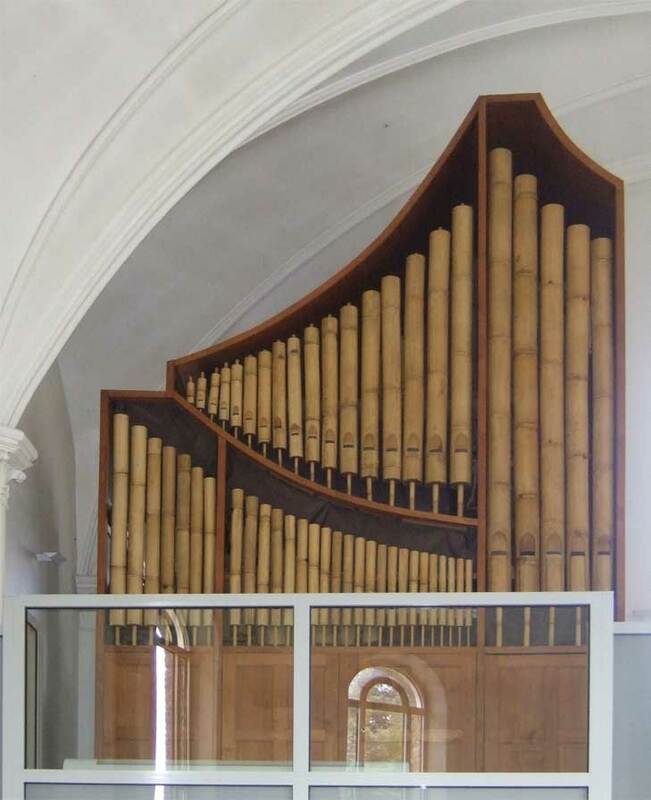 For Hauptwerk we have added the Bourdon 16' from the Hinsz organ and a pedal-manual coupler. This sample set is available for Hauptwerk 4. 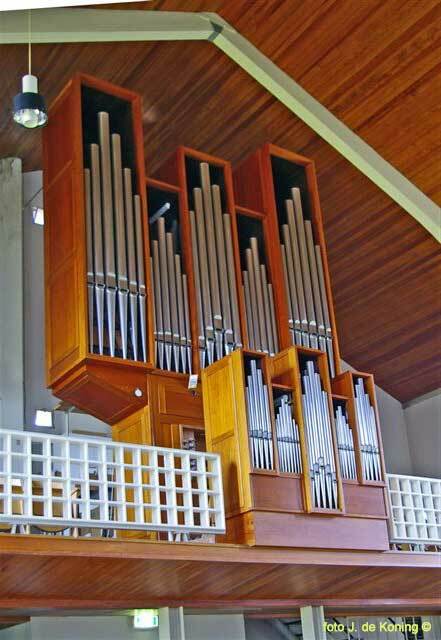 September 2007 we have recorded the van Peteghem-organ of Haringe (Belgium). This organ is without a doubt the most well-known 18th century organ in Flandre. It has 27 stops on 2 manuals and an "echowerk". It has a fixed "boxpedal" but we made an extended version with (almost) all the stops independent on a complete pedalboard. The organ has 2 different tremulants but only the "Tramblant douce" is usable and works on all stops. The sample set is available with the use of multi-release technology on all stops. 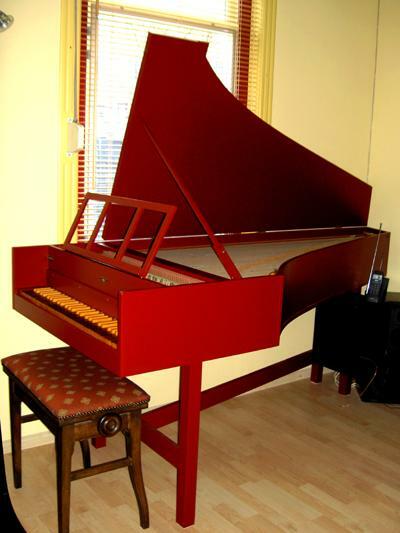 You can download for free our Harpsichord both for Hauptwerk 1 and Hauptwerk 4. Both versions are recorded with the same equipment and sound nearly the same. In Hauptwerk 2 you have the possibility to use different tuning-systems. New: The harpsichord is newly recorded with a resolution of 24 bits and a samplerate of 96 kHz. To make a pedalboard complete we have added 7 notes from MIDI note 24 C upto MIDI note 30 Fis. You can order this version for the price of 19 Euro (excluding shipping). A project in cooperation with the Stichting Oude Groninger Kerken (and the Local Organcommitee) is recording a few of her monumental organs. Already recorded and available is the Arp Schnitger-orgel from Eenum. This instrument has 10 stops on 1 manual and fixed coupled pedals. Click at the picture for more information. Available in the version for Hauptwerk 1 (or myOrgan/GrandOrgue) and Hauptwerk 4. 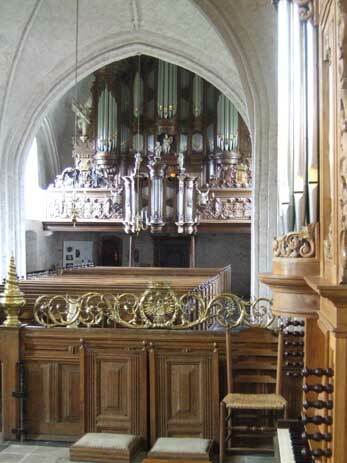 Also recorded and available is the very interresting organ of the church of Krewerd. This instrument build by an unknown builder in 1531 has 6 1/2 stop on 1 manual and fixed coupled pedals. 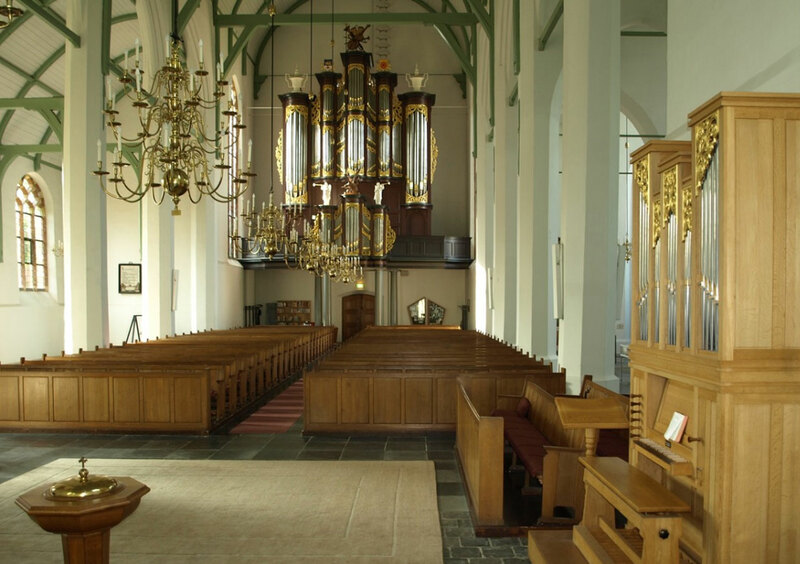 The third item from the project with the Stichting Oude Groninger Kerken is recording the organ of the Maria-church of Oosterwijtwerd. 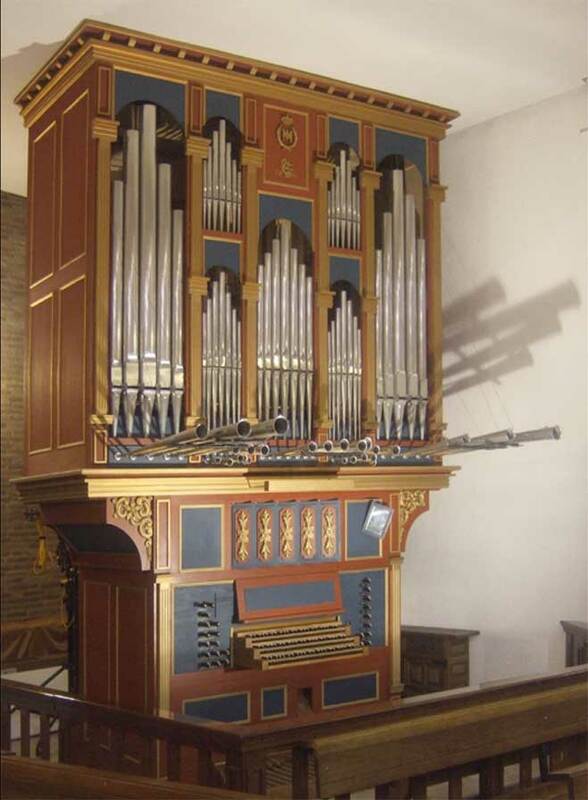 This instrument, originally built as a cabinet organ by Christian Müller in 1741 has 6 stops on one manual with 13 fixed pedals. 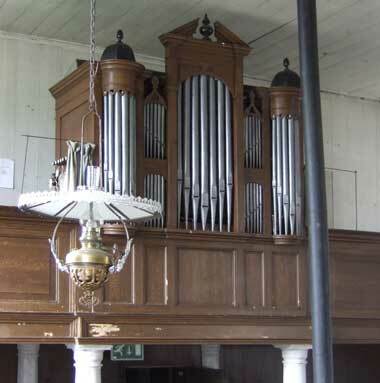 On 8, 9 15 januari 2007 we have recorded the van Leeuwen organ in the Boezemkerk Bolnes (belongs to the city of Ridderkerk near Rotterdam). This instrument, built in 1959, has 18 stops on 2 manuals and pedals. The samples are recorded in 24 bit 96 kHz. We have recorded 3 samples per pipe to make the sample set so called "multi release" with means a very short sample for the staccato notes, a short sample for the portato notes and finaly a normal sample for long notes. 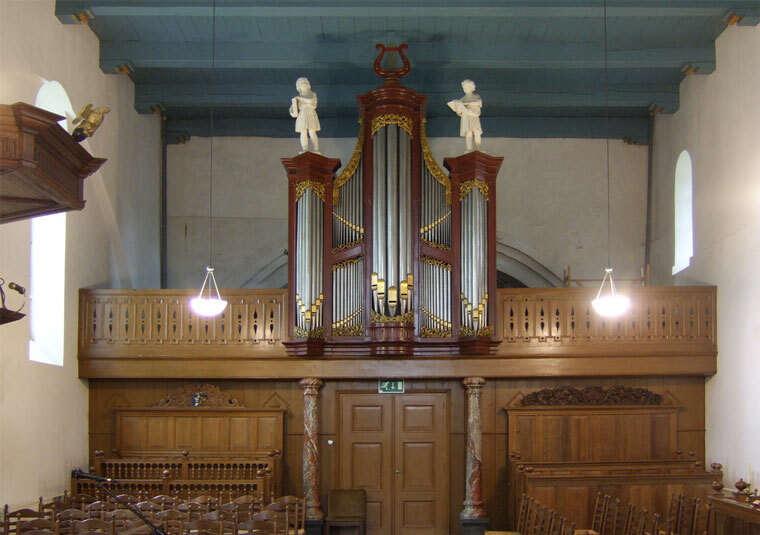 The fourth item from the project with the Stichting Oude Groninger Kerken is recording the organ of the organ of the former Hervormde kerk in Wirdum. 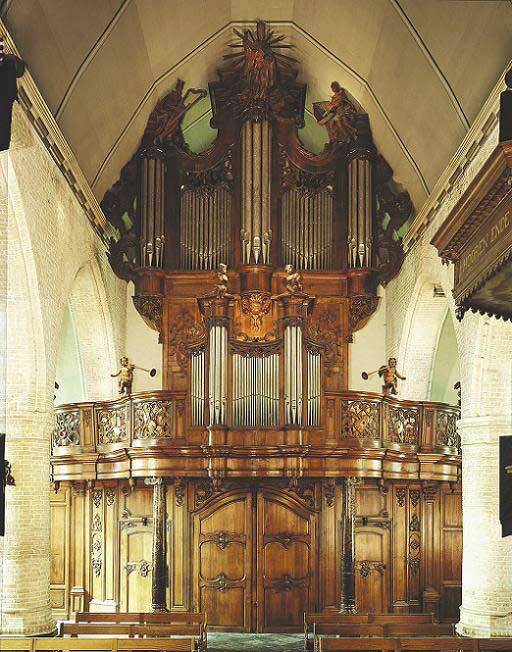 This organ in built 1879 by P. van Oeckelen gebouwde and has 6 1/2 stop on one manual with 27 fixed pedals. On the pedals we have added the Bourdon 16' from the sampleset of Haringe. End of augustus 2009 we have recorded the bamboo organ of the Protestant community of Roeselare Belgium. This instrument is built 1995 and have 10 stops on 3 manuals and pedals. Only Available in the version for Hauptwerk 4. The fifth item from the project with the Stichting Oude Groninger Kerken is recording the organ of the Eekman de Mare organ orgel in Midwolde. 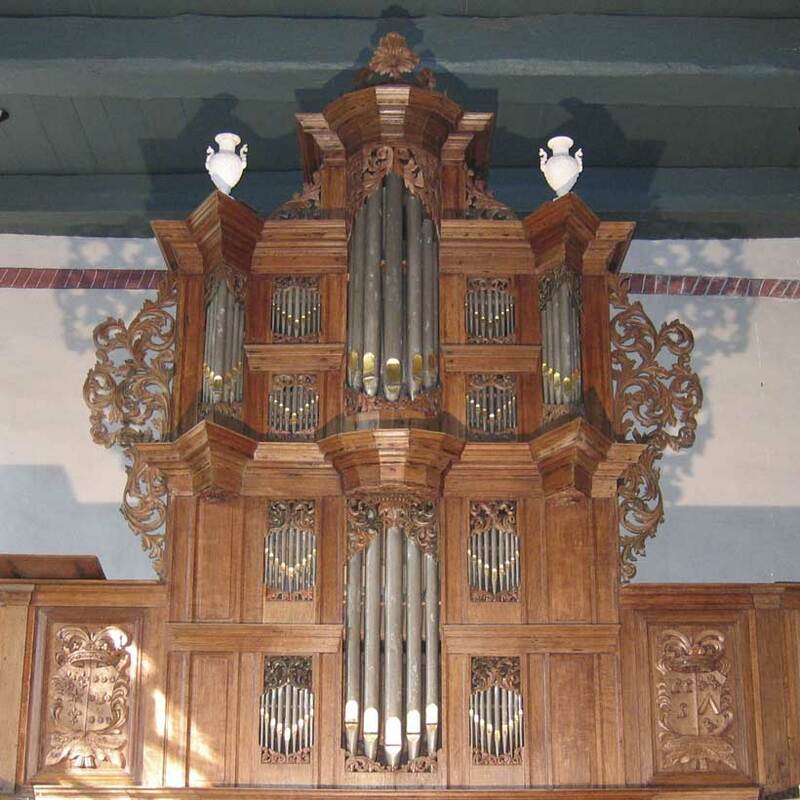 The organ of Midwolde was originally a house organ built by Levijn Eekman and in 1660 made available for the church. The organ has 6 ranks on 1 manual and no pedals. for Hauptwerk. This organ of 21 stops, divided over 2 manuals and pedal along with a third coupling manual, was built by the organ builder Eppo Rynke Ottes who is originally from the Netherlands. The samples were recorded in 24 bits, 96 kHz. with six microphones: 2 x Neumann, 2 x Røde and 2 x AKG. Again we recorded three samples for each pipe so that we can make the sample set "multi release" meaning: a very short sample for the staccato notes, a short sample for the portamento notes and finally, a normal sample for the longer notes. The organ is now available for Hauptwerk version 4.